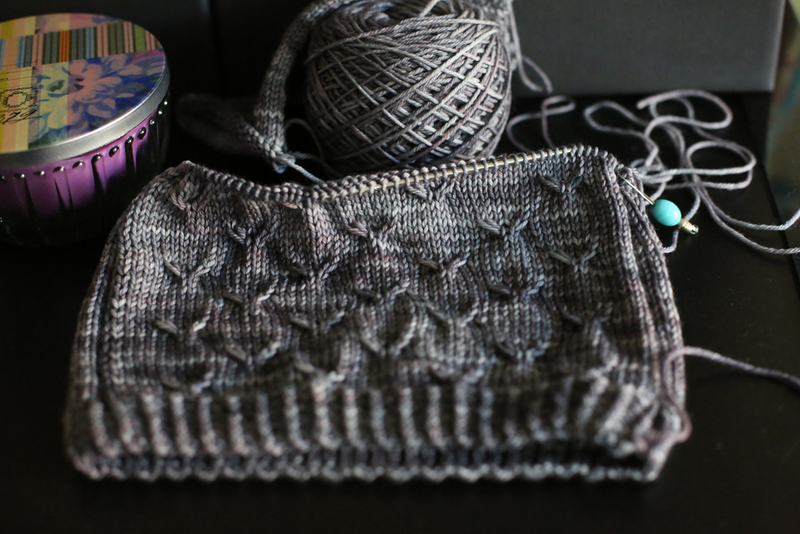 I made really good progress on Livingston even though I haven't picked up my needles in about a week. That's all about to change tonight when I get home from work and cast on the second sleeve! I love the cable pattern on the front. 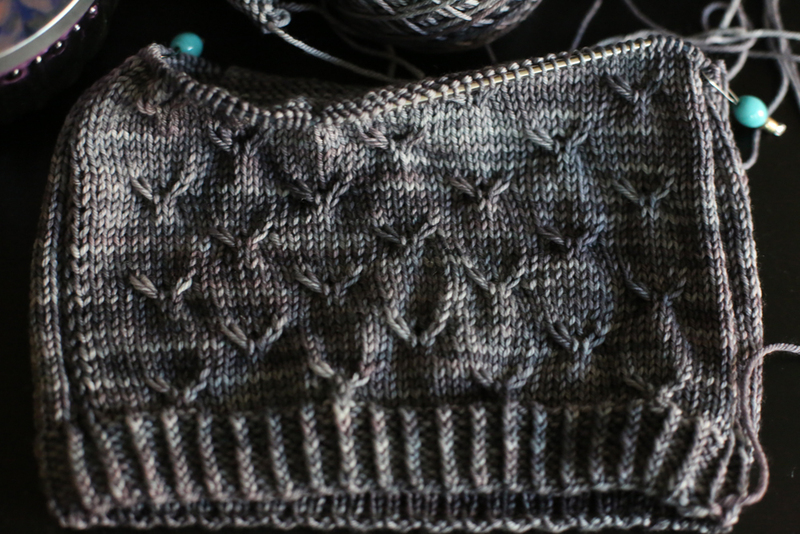 I haven't knit a sweater in this construction before, the sleeves are knit separately but then attached at the armpit and the top of the sweater is finished in one piece. I think I understand the instructions - - but we'll see when I get there! 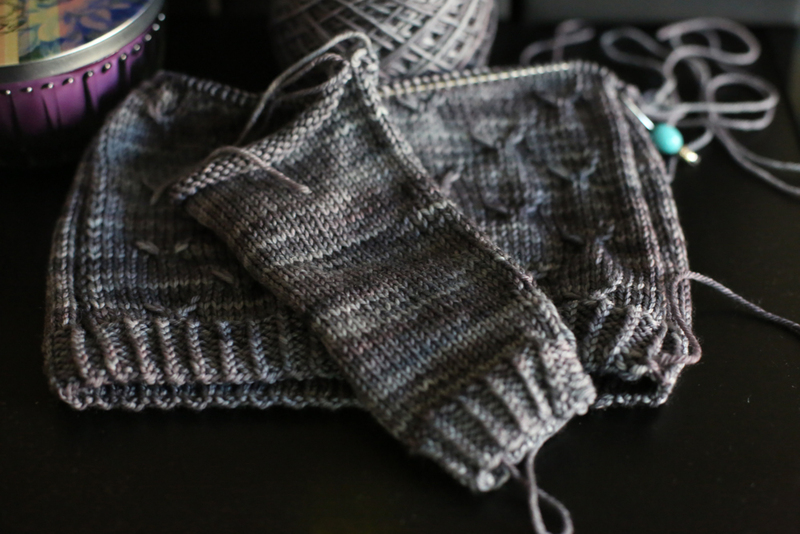 The pattern says it gets a little tricky so I'll have to set aside some time and concentrate as soon as I finish the other sleeve. Anyone do a pattern with this construction before? Any tips, tricks or advice? What a sweet sweater! I love the color. You can totally do it. It might get a bit fiddly up in the yoke, but like Linda said above you’ll find lots of help on Ravelry! i have never done this construction,but that is a method made popular by elizabeth zimmerman.it is covered in almost all of her books,and both of her dvds.there is a zimmermaniacs group on ravelry and there are forums where that question may have already been answered,or you could post your own question.good luck with the sweater—so cute! and congrats on your upcome arrival!!! This is really pretty so far! I’m just learning to knit so I have no advice for you, but it will turn out great!